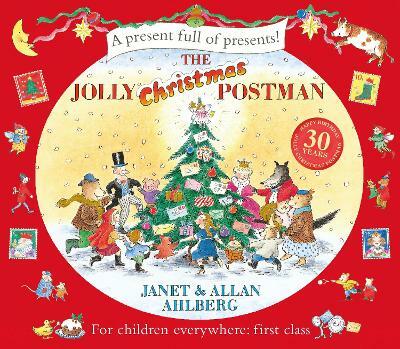 It's Christmas Eve and the Jolly Postman is delivering greetings to everyone's favourite fairy-tale characters. He has a card for Baby Bear, a game for Red Riding Hood, a get-well jigsaw for poor Humpty Dumpty and lots more packages to deliver! The Jolly Postman keeps on peddling his bicycle up hill and down dale. . . and into everybody's hearts. 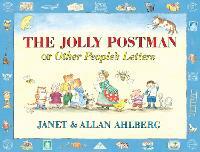 Allan Ahlberg, a former teacher, postman, plumber's mate and grave digger, is in the super-league of children's writers. 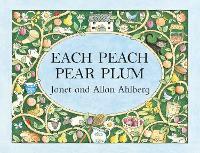 He has published over 100 children's books and, with his late wife Janet, created such award winning picture books as EACH PEACH PEAR PLUM and THE JOLLY POSTMAN - both winners of the Kate Greenaway Medal. His latest book - Kicking a Ball, illustrated by Sebastien Braun was published in May. 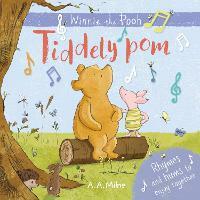 He has also written prize-winning poetry and longer fiction. He lives in Bath, and, to avoid distractions, writes from a shed in his garden! 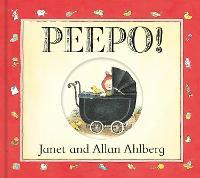 This is a lovely book for children aged three and over - younger children are liable to struggle with getting the letters and cards out of the envelopes, which is half the fun of this book, but those over three will find it a lovely read. It's also very interactive so children can feel they are helping to find out what happens next.